With his final answer to one final question during his final news conference before the Seahawks headed into the summer, Seahawks coach Pete Carroll tried to bring some finality to the overriding topics of the offseason — their decision to consider trading cornerback Richard Sherman and the potential of lingering effects from an ESPN story detailing friction between Sherman and quarterback Russell Wilson. Still, questions will persist, specifically in regard to Sherman, whose past actions and future status were at the heart of all the offseason talk surrounding the Seahawks. Not that he hasn’t already been under a microscope the past few seasons, but every move Sherman makes this year figures to be analyzed like never before. 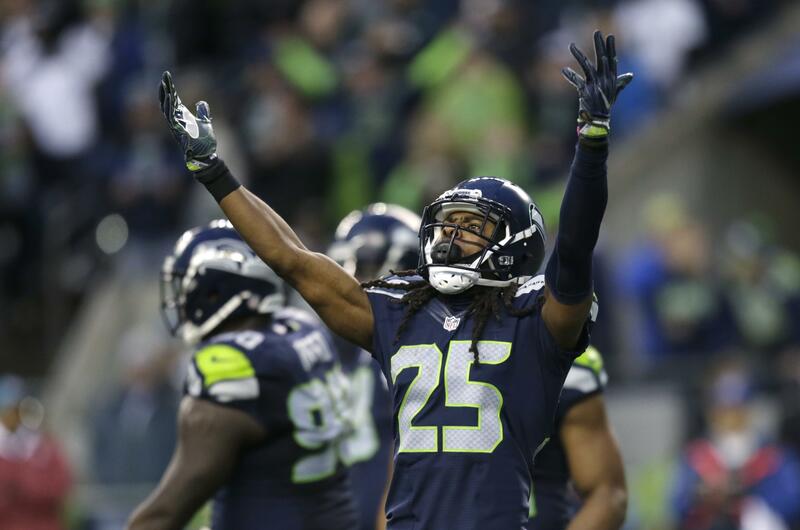 And how Sherman responds could go a long way toward dictating the success of the Seahawks this season, especially with the rest of the cornerback corps as unsettled as it has been at any time since the beginning of the Legion of Boom era. DeShawn Shead is injured, and Seattle likely will have rookie Shaquill Griffin in a key role. The good news is that Sherman appears to be toeing the company line. Sherman held something of a clear-the-air news conference in June. He blasted the ESPN story for using anonymous sources and said his relationship with Wilson is just fine, then praised him for playing with injuries in 2016. Sherman then stayed on script during a recent ESPN interview that aired over the weekend, calling his relationship with Wilson “professional’’ and adding that Wilson is a “phenomenal’’ teammate. Maybe that seemed liked nothing — and some wondered why Sherman was even going on ESPN. What was as egregious, in the team’s eyes, as anything Sherman did last year came when he met the media the week following his blowup against the Rams that was aimed at offensive coordinator Darrell Bevell. A few days after Carroll had hinted to the media to expect Sherman to be contrite – if not apologize — Sherman instead doubled down, not only repeating his criticism of the play call and his right to criticize it, but then infamously threatening to have the credential of 710 ESPN radio host Jim Moore revoked. The incidents last season helped lead to the team considering trade requests for Sherman in the offseason, with many feeling that the willingness of Carroll and general manager John Schneider to talk about it publicly was also in part sending a message to Sherman. But the team didn’t get the kind of offers it would take to trade Sherman, and pretty quickly both sides realized they would be married to each other for at least another season. Sherman’s comments appear to show that even if his long-term future with the Seahawks remains unclear, he’s fully on board for this season. Granted, he doesn’t really have much choice. If Sherman eventually wants a fresh start elsewhere, he really has no option but to play to the same level as ever to make himself as marketable as possible if be becomes a free agent down the road, or if the Seahawks again were to consider trading him a year from now. How this season evolves undoubtedly will go a long way toward dictating whether the Seahawks and Sherman decide it’s a relationship they want to continue beyond 2017. But as training camp approaches, each side appears to have decided the future is now, and questions about what happens after 2017 are best left for another day. Published: July 27, 2017, 9:44 p.m.